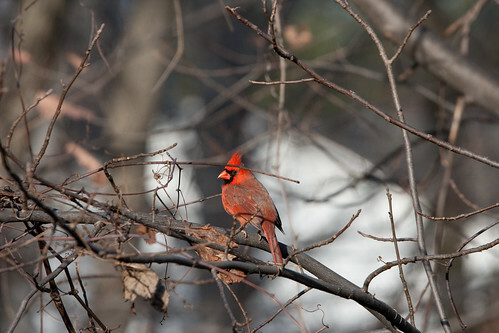 Cardinalis cardinalis is featured in today’s Top 200 Photo. Danielle and I love cardinals. We love how bright red they are, their “masks”, their mohawks, and the way they hop around on the ground. The funniest thing about cardinals is that they try to act tough with the smaller birds, but the cardinals are the first birds to run/fly away whenever something scary happens. And they’re the last birds to come back to eat.